These are the various sites my friends and I visit and where the photos are taken. All sites are in northwestern Michigan. Elmwood Cemetery (Maxwell)- the first time I ever went out "ghost hunting," Gary had invited Dave and I to go with him late one November night. This cemetery was, as I recall, at the end of a long winding stretch of road leading southeast of Petoskey(later, I found out specifically where we went) and as we entered the gates, I got a sudden feeling of foreboding and uneasiness. We were at Elmwood Cemetery, nicknamed "Maxwell" by Gary and friends because most of the deceased bore that family name and also because it is located on Maxwell Rd. Another thing I noticed, though there were several recent graves, a lot were around 100 years old, and most of the deceased were under 25. Maple Hill Cemetery- This graveyard is located in the small community of Clarion, near Walloon. 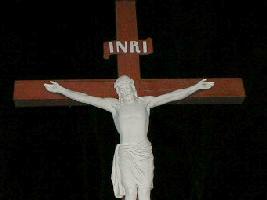 It's really not very large, but I believe it to be very active, spiritually. 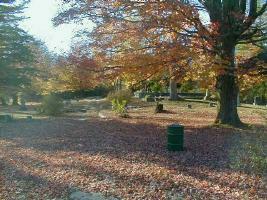 A great deal of the photos on this site are from this cemetery because it's one of our favorites to visit. Not only is it centrally located, but we always seem to get a good turnout. The top of the steep hill in the center of the cemetery is a definate hot spot. 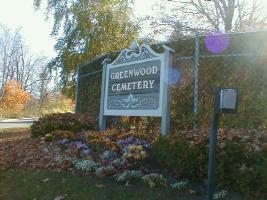 Greenwood Cemetery- This is one of the largest cemeteries in the area (nearly 5 sqare miles!) and it's right in town(Petoskey), which means not only is it still being used, but quite often, too. It isn't one of my favorite places to hunt, not only because it's right in town and highly traversed, but also because it closes right at dusk, making it complicated to spend much time there after dark without getting yourself into trouble. However, Jenny took some awesome pictures there and so, it's on the list. 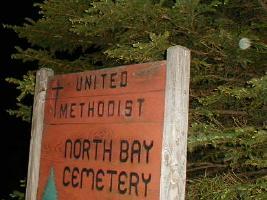 North Bay Cemetery- This tiny graveyard is located in Bay Township, about 3 miles south of US 31, near Bay Shore. Though we've visited it several times with no results, a recent trip produced many playful orbs. The photos are posted on the page below. Jessie's House- Jessie lives in a trailer in the Boyne Falls area, but I won't go into specifics for the sake of her personal privacy. 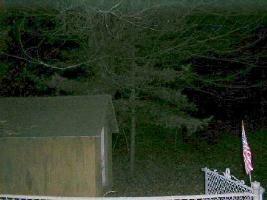 She believes that her home is haunted and we have a few photos posted that prove she may be right. 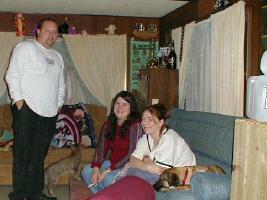 Jenny's House- Jenny lives in the Clarion area. 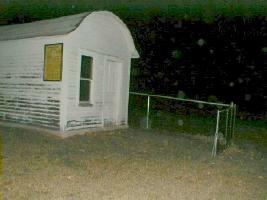 When we stop there after some hunts, it seems that orbs like to follow us. PHOTOGRAPHERS-who took the photos on this site. SITES-the places where the pictures were taken, and links to the ghost photos! LINKS-other sites, related and non-related. CONTACT US-how to get ahold of us.